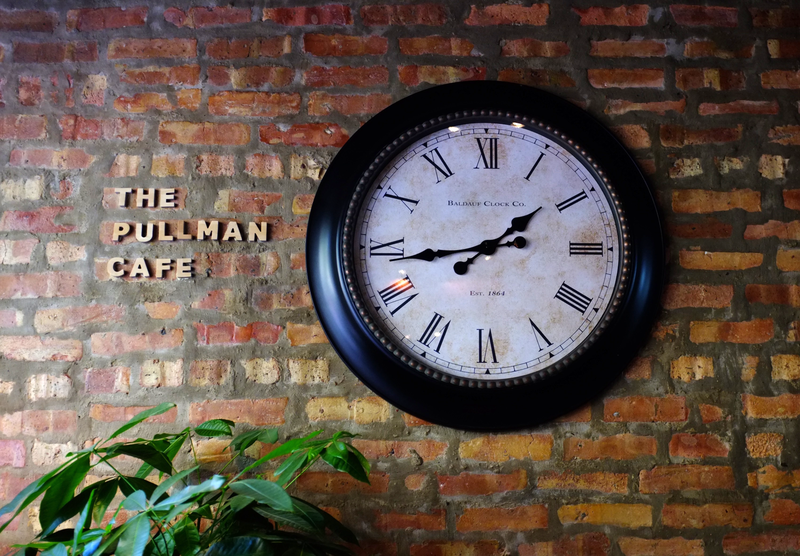 This was October 10, Pullman Café’s opening day. Visitors to Pullman, fresh from the annual House Tour, happily endured the wait alongside enthusiastic residents. 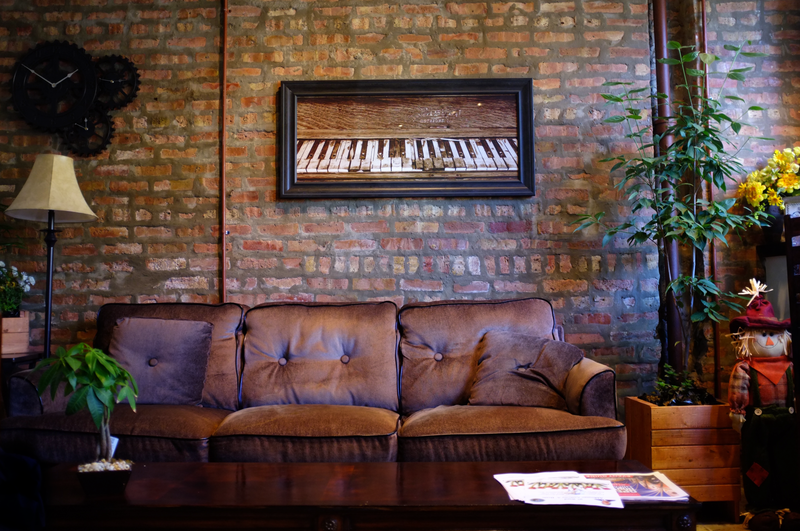 Many passed the time in conversation, adding to the warm and welcoming atmosphere promised by the cozy furniture. Others perused murals and artwork in an alley behind the café. Originally constructed as an idealistic company town for workers at the Pullman Palace Car Co. in 1880, Pullman remains a testament to Chicago history. Today, the original residential area of Pullman houses a community that prides itself on preserving the neighborhood’s collaborative atmosphere and historical integrity. With 16,122 visitors to the site in 2014, its designation as a National Monument this past February has only added to its appeal; spokespeople at the Pullman State Historic Site have already noticed a significant rise in tourism. “Since they’ve revived and turned into this landmark district area, that’s going to need to come with restaurants and other things to keep people here and draw people here,” said Hanna Anderson, a Washington Heights resident who came to the café after attending the House Tour. Soon, Lantz came to Pullman to lead a series of community art projects, including parties showcasing local artwork and an alley mural project to engage neighborhood residents. It took longer to transform Lantz’s idea for the Pullman Café into reality, however. “I tried buying a building, but it didn’t work out, and in the meantime I was still doing my art shows, and my art started picking up,” he said. 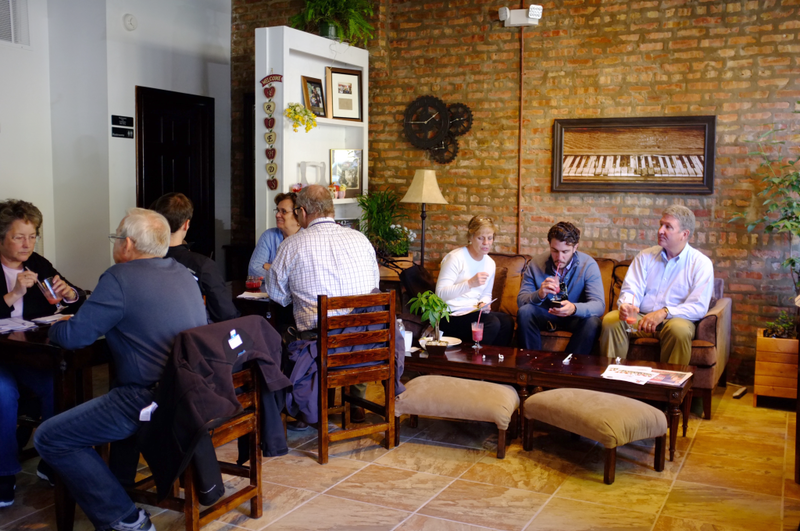 In October 2014, Chicago Neighborhood Initiatives (CNI) and Neighborhood Housing Services of Chicago noticed Lantz’s efforts for the community, and they reached out to him to jumpstart the café’s construction. With CNI’s help, Lantz secured a microloan through Mayor Rahm Emanuel’s Chicago Microlending Institute and built the café within months. Lantz also partnered with other members of the community to complete the café. The Historic Pullman Foundation donated antique church pews for the interior. Lantz’s aunt and her daughter, who now work at the café full-time, handcrafted its wood furnishings. The furnishins were painted by employees of the Method soap factory, another newcomer brought to the historic district by CNI. The community seems to agree: within its first couple days of business, items from the menu (which includes beverages, salads and sandwiches, home-baked lemon bars and other treats) began selling out, and the café closed for a day to recover. Pullman Café, 11208 S. St. Lawrence Ave. Tuesday–Friday, 10am–7pm; Saturday 10am–6pm; Sunday 10am–3pm. $1-$8. I lived in Pullman I married. I remember going to Bob’s Sugar Bowl. Recently went to Pullman House Tour and I was so impressed with the facade. The lighting and window boxes, just darling. Pullman needed a cafe. Best of luck to you. I will stop by soon to say hello. I congratulate Ian and his family for working so hard to get ” The Pullman Cafe ” up and running. It serves great food & coffee & I’m happy to see it there. I grew up with Bob’s Sugar Bowl. Bob and my uncle Jack Danahey were best friends. It is nice that the building is occupied again and serving the community! God bless!